The license that an online gambling operation holds is pretty important. It verifies that it's adhering to certain guidelines and business practices, and it's a symbol that players can trust in the brand in question. Without a license, a lot of companies wouldn't be able to operate in their jurisdiction, and that can complicate things since no operation means no profits and no company. When a company in their industry has their license pulled, it's a pretty big deal, and it can often spell disaster for the company in question unless very drastic actions are taken. Bubble Group NV is the company that owns and operates Sheriff Gaming, and the Alderney Gaming Control Commission has revoked their license to operate. The reason given was that they were "...no longer fit and proper to hold such a certificate." They had their license suspended about six months ago because of some legal trouble that a number of Bubble Group NV's owner got into in Holland. This included charges of money laundering and other allegations. These charges seem to be the basis of the AGCC yanking the license. 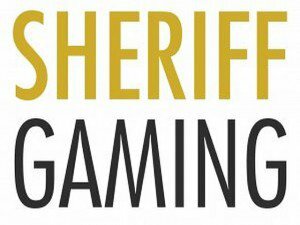 Something else that could come into play here is that a Dutch court declared that Sheriff Gaming was bankrupt within the past few weeks. This is a pretty big deal after a lot of money was seized in the investigation mentioned above. A total of 80 properties, both residential and businesses, were taken inside of four different countries including Spain and Germany. On top of that, a total of about 100 different bank accounts were also seized. There were allegations of being involved in a criminal organization on top of other charges, so it's safe to say that Sheriff Gaming is in some pretty big trouble. At this point, you can't really blame the Alderney Gaming Control Commission for pulling the license. As much as we personally love the games and software produced by Sheriff Gaming, it's some pretty shady business that their owners seem to be involved with. With that in mind, the AGCG probably sees them holding one of their licenses as a liability, and it's completely reasonable for them to let Sheriff Gaming go to protect their own name. It will be interesting to see what happens with this in the near future, especially if Sheriff Gaming's owners are cleared of the charges.